LAKE WORTH, Fla. – Jamie Sindelar of Horseheads, NY, twice made three consecutive birdies Monday enroute to a seven under par 65 and his 12th victory on the Minor League Golf Tour. After a bogey at the par-5 first hole on the South course at Fountains Country Club, Sindelar, 27, birdied Nos 6, 7, 8, 10, 12, 15, 16 and 17. He received $510 from the $1,320 purse, raising his career earnings to $73,466. Sindelar edged Dominick Vennari, 22, of Baltimore, MD, and Stuart, who was bidding for his third straight MLGT win. Instead, Vennari finished second among 12 starters after posting a bogey-free 66 with six birdies, collecting $360. Needing birdie on 18 to force a playoff, Vennari's approach shot just missed the green. His birdie chip hit the flag and bounced just inches away. 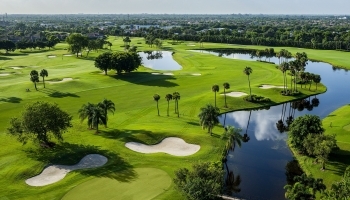 Qualifying School Contest #4 on the Palmer course at PGA National is just 9 days away! It is a 36 hole event Wednesday and Thursday August 8-9. The entry fee for the 2-day event is $390 with 40% of the field earning a check with an optional $200 Qualifying School Contest presented by Joey D Golf where the low score will win $4,500 (guaranteed) to put towards the Q-School entry of their choice. Any questions please call Tournament Director Scott Turner at 561-598-9630. 40% of the field earns a check.